Destination Wedding Photographer | Why Consider a Destination Wedding? Wearing a dual hat as a London Wedding Photographer and a Destination Wedding Photographer, I am often asked this question by my prospective clients – “should I consider a Destination Wedding or is it easier to have an in town / local wedding”? Whilst, there is no right or wrong answer, thought I’d pen down my personal reasons as to why it is a good idea to consider a destination wedding. Consider saying ‘I Do’ anywhere – A destination wedding goes beyond food, décor, lighting and hiring a Destination Wedding Photographer. A destination wedding gives you memories of a lifetime set in any part of the world. If Italy is your thing, then consider Amalfi coast. If the mountains give you a high, then the Swiss Alps are perfect for you. Alternatively if beach is your idea of paradise, then Mexico, The Bahamas or Thailand can be on your destination list. Its easier – With a destination wedding, you will be working with a wedding planner or team member from the resort. This takes away a lot of research and planning away from you as these experts organise hundreds of weddings every year. Destination Wedding Planning experts will help coordinate various aspects of the wedding including travel, vendors and budgeting. All you need to do is show up! Pre-Wedding Honeymoon – The best way to describe a destination wedding is a ‘pre-wedding honeymoon’ or a ‘wedding moon’. We don’t need to convince you why two honeymoons sound better than one. 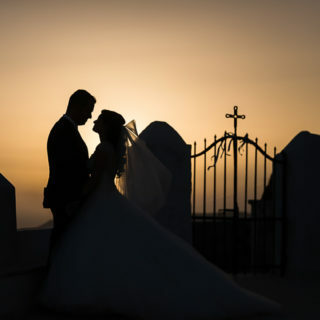 Opportunity to connect with Family and Friends – unlike most weddings that last for 1-2 days, a destination wedding brings family and friends together for a once in a lifetime celebration that can last up to a week. As planning details are left to the experts to a great extent, you will have plenty of time to enjoy wedding festivities with your loved ones. Affordability – Destination weddings are often cheaper than traditional weddings. As the backdrop is your paradise destination, you can certainly eliminate unnecessary expenses related to décor. Whether you opt for a fairytale castle, beach soiree, picturesque vineyard, or the alluring mountains, a few simple florals and other modest accents can do the trick. Also, as guests are limited at destination weddings, you can provide grandeur experiences to your wedding guests.